While visiting Chicago recently, my husband and I were astounded to learn that my mother-in-law had never tasted Giordano's pizza despite living in Chicago for over 30 years. She'd had deep-dish, of course, but never Giordano's which in my opinion is the best big-chain deep dish place in town. Naturally, we had to expose her to its delicious goodness. Add ingredients in the order recommended for your bread machine. Set to dough cycle. For thin-crust pizza, divide dough into desired portions and roll or pull to 1/4-1/2" thickness, depending upon your preference. Grease pan. Pre-bake in 425 degree oven for 10 - 12 minutes or until lightly browned. 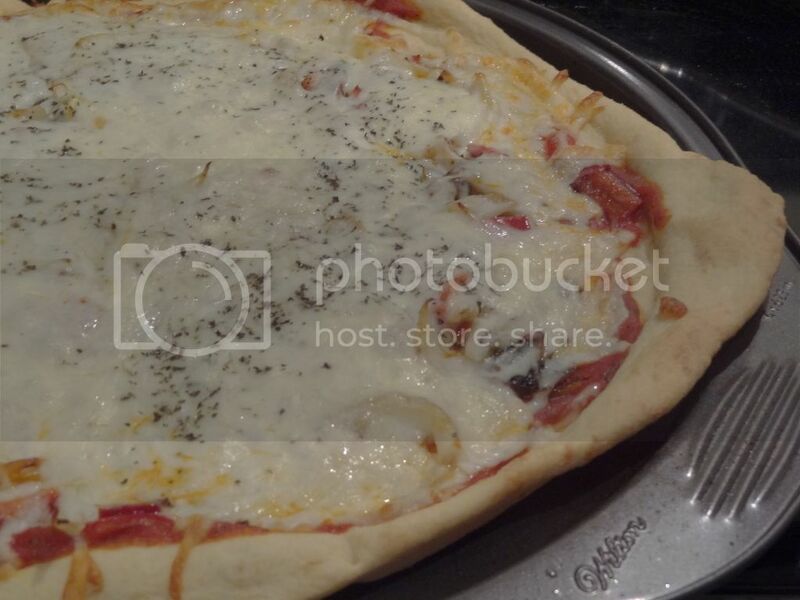 Add toppings and bake for another 10 -15 minutes until crust is golden brown and cheese is bubbly. 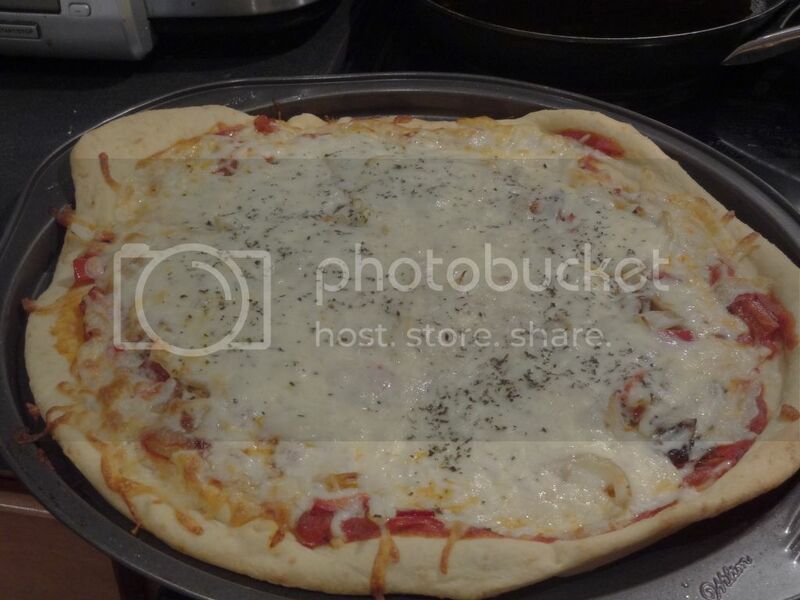 For thick-crust pizza, shape into a 13-14" pizza. Cover and rise for 30-45 minutes or until nearly double. Pre-bake in 375 degree oven for 20-25 minutes or until lightly browned. Add toppings and bake for another 15-20 minutes or until topping is bubbly. 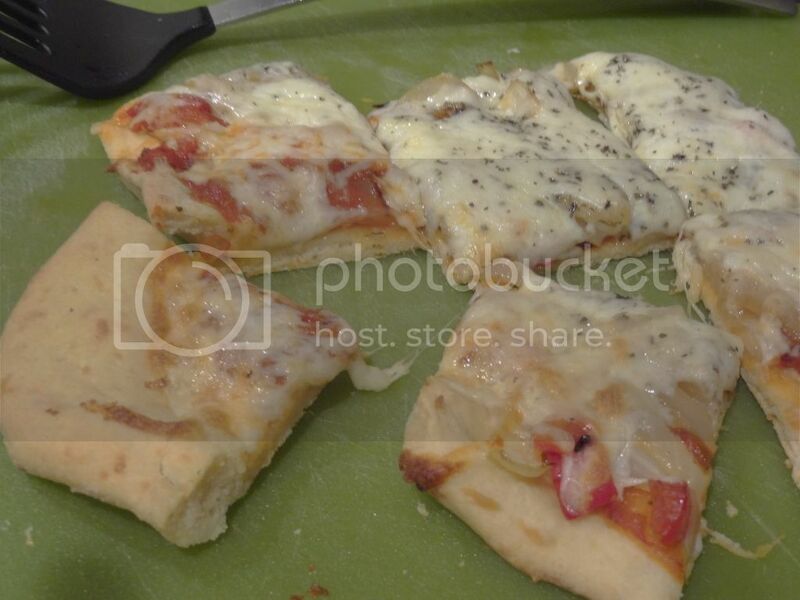 Makes two 11-12" thin-crust pizza or one 13-14" thick-crust pizza.